The roots of Hermann Keller GmbH go back a long way, starting with the founding in 1862 by August Müller. Already operating a mill, he founded the sawmill in Oberachern, which was afterwards taken over and run by his son Wilhelm Müller. In 1919 Wilhelm Müller’s son in law, Hermann Keller, assumed control of the company which still bears his name today. Future-orientated, he expanded the company’s business and its operations.This concept was being continued by his two sons Walter and Klaus Keller. With the relocation to its present site in 1977, the opportunity was taken to develop a highly modern and export oriented industrial company. 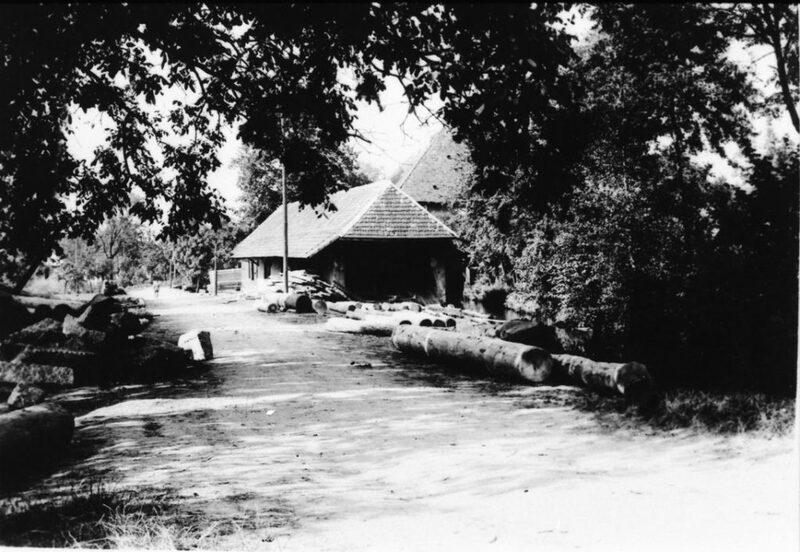 Back then it was considered the most modern sawmill in Europe. After Walter Keller’s withdrawal in 1996 and the sudden death of Klaus Keller in 1997 the task of running the sawmill and furthering its development fell to the two sons Christian and Jörg Keller, who have led it to further success. In 2001 we adjusted to the more and more mechanical timer processing in the forest by putting our new short timber yard into operation, leading to a significant increase in capacity and efficiency. Since Jörg Keller left the company in 2002, Christian Keller is now the sole manager. In 2005 the old sawline was replaced and the site could be almost doubled to 14ha. 2007/2008 the drying capacity increased to its double amount by investing into a planing work with mechanic strength sorting for dried sawn timber, which was greatly improved our competitiveness. 2011 was the first time we started adding douglas fir products to our assortment, expanding our sales by markets and product variety. In 2014 we opened our factor outlet for private customers.